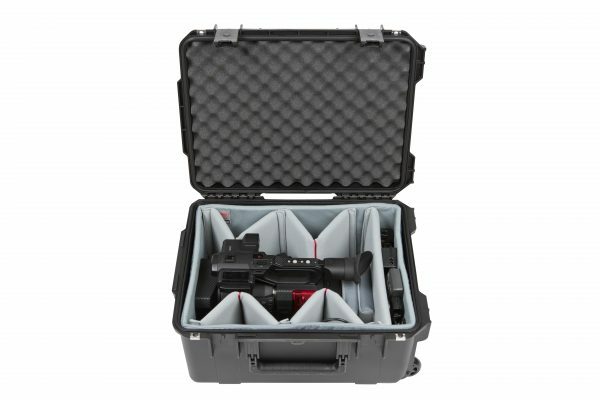 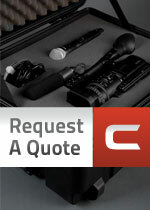 SKB has teamed up with Think Tank Photo—the premier photo/video bag and backpack company—to design quality interiors that provide photographers and videographers with the best of both worlds: soft case adaptability with the unparalleled strength and durability people expect from SKB’s versatile, airline-tough cases. 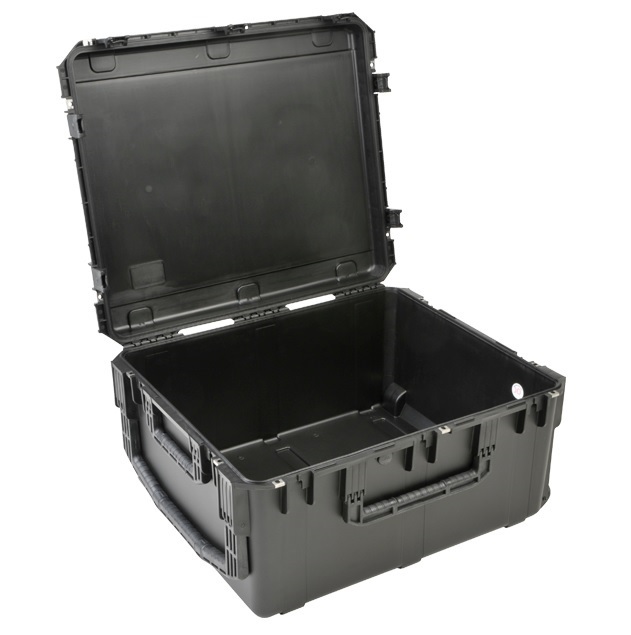 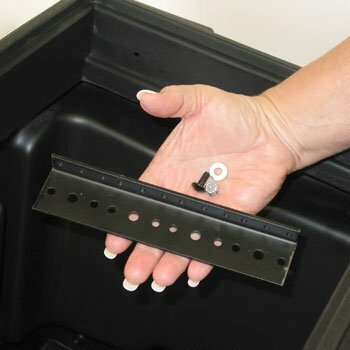 The 3i-2015-10DT is watertight and dustproof, and features a deluxe 10″ deep closed cell fitted foam liner, (4) heavy duty hinged dividers, (6) closed cell foam pads, and (1) heavy duty divider, all of which are Nylex-wrapped and designed with heavy duty hook-and-loop tabs to create the perfect fit. 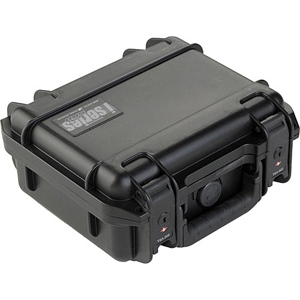 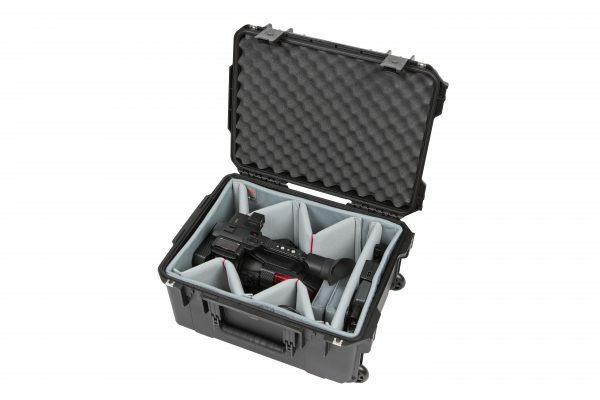 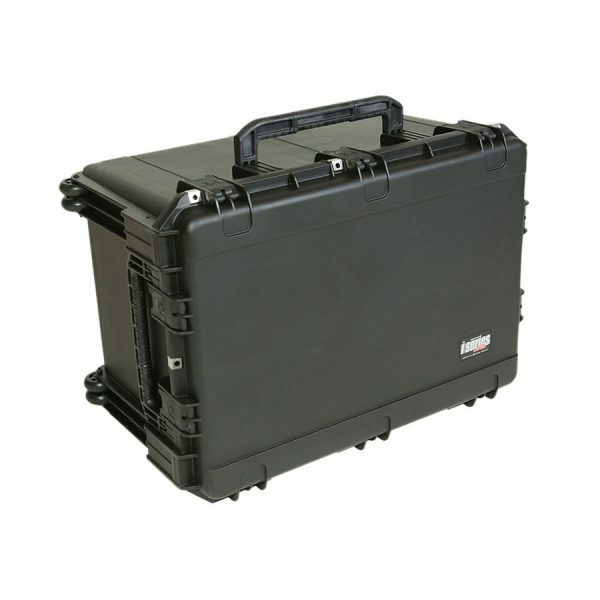 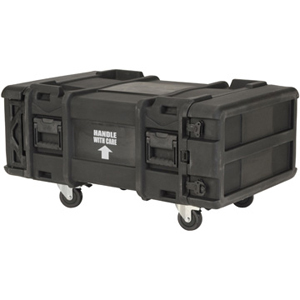 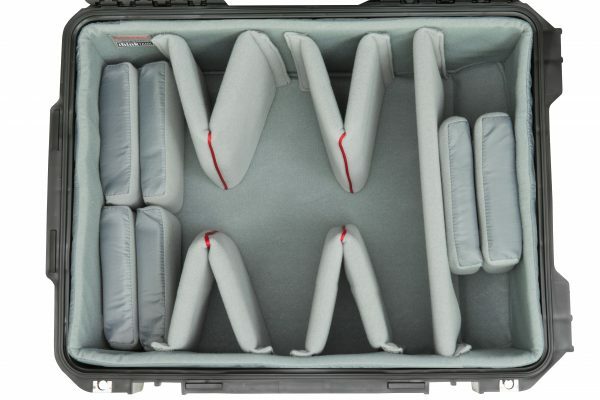 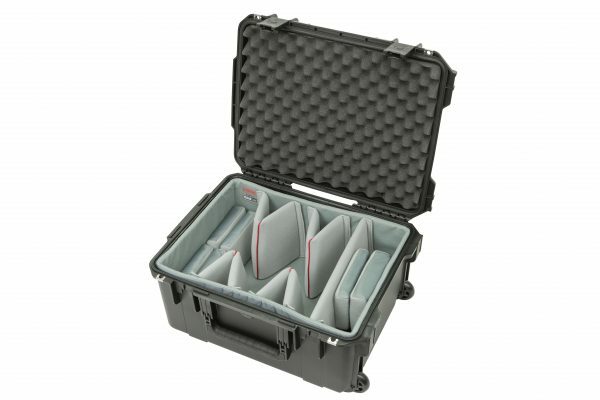 This case also features built-in wheels and a convenient pull handle for easy transport.